Thank You for joining us on 31 March 2019! The 13th MS Melbourne Cycle + MS Half Marathon was the event for everyone. We hope you had the perfect day taking on a personal challenge, spending the day with friends, family and colleagues, and raising essential funds for people living with multiple sclerosis. Fundraising closes 12 April 2019 so there is still time to be rewarded! 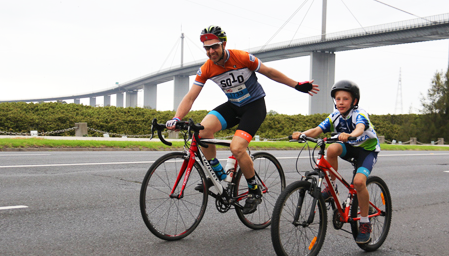 Challenge yourself and ride 50km or 30km around the most spectacular sights of Melbourne or take the leisurely 6km or 3km course around Flemington Racecourse. 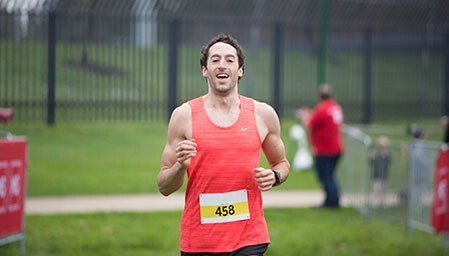 Get your running shoes on, and choose between the half marathon course, or a 10km and 5km course as you run within the picturesque Flemington Racecourse.